Jeff Baron: How do you add up North Korea after your 45 trips there? Dr. Mitsuhiro Mimura: North Korea is the poorest advanced economy in the world—but what’s important to understand is that, while it may be poor, it is still an advanced economy. In that respect alone it is unique in the world. And that is an important source for the pride the North Korean people take in what they see as their country’s achievements. JB: The poorest advanced economy? Can you explain that a little? MM: By standard economic measurements, given that the North continues to emerge from its past as a feudal society and then Japanese colonial rule between 1910 and 1945, North Korea is a developing economy. That said, they have built a comprehensive production structure including both labor-intensive and capital-intensive industries. They are able not only to produce capital goods to run their society, like railroad locomotives and carriages, cargo vessels, turbines and generators for power plants, numerically controlled lathes, but they also make most of the things needed for military use, from small arms to ballistic missiles and nuclear weapons, trucks, jeeps, destroyers, and diesel engines. JB: What’s the trajectory you’ve seen in the North Korean economy since you started going there in 1996? MM: The first years I was there, the mid-1990s, was a time of great hunger. The people who waited for the government to help them, as it had for the previous 40 years, suffered greatly—and many perished. Those who believed in the government but decided to act independently, to survive through their own efforts—they survived. And some of them are becoming rich now. JB: How do the North Korean people navigate the changes in the economy and society? MM: Let’s start with how people who’ve never been there understand the place—and that’s mostly through the regime’s propaganda. Outsiders find it chilling and comical at the same time. North Koreans themselves are inundated with propaganda in school and at the workplace, in the newspaper and on TV. The goals and themes of the propaganda haven’t changed in 50 years. But the people on the receiving end—even the people who write the propaganda and send it out—they have changed a great deal. The people who make the country run—the officials, managers, teachers and workers—there’s a big difference between what they say in the morning and do in the afternoon. JB: A big difference between what people say in the morning and do in the afternoon? Can you explain that a little? MM: Sure. Families need income independent of what they get from the government. The people understand it. The government understands it, too. Ten different families have ten different ways of making money. For example, a wife has a talent for making clothes. Or cookies. Or cakes. She starts providing those services and products to people in her neighborhood. That household business starts at a very small scale, just selling to her neighbors individually. But through word of mouth she gets more customers. So her business grows. She needs help. Officially, she can’t hire the help she needs. Officially, that’s forbidden. But…if she works together with a group of wives in her building…that’s acceptable. If one wife hires nine others, that’s illegal exploitation. But if ten wives work together, that’s socialist cooperation. And in the North Korea of today that socialist cooperation is held up as an example for others. JB: Do customers pay money for the clothes and the cookies, or is it mostly barter? MM: There is some barter, but mostly, this new economic activity at the individual level is based on payment in currency, either North Korean won or foreign currency. This monetization of economic activity, as economists call it, is also something new for North Korea. You have to understand this to understand the continuing resilience of North Korea. You can’t see it from the outside. You have to be there and talk to people to understand it. Outsiders wonder why the place doesn’t just collapse, why the place is so resilient. JB: What is the leadership’s attitude toward this new kind of economic activity at the individual level? MM: At this moment the leadership has no other choice but to pretend not to see it. The official position remains: A socialist future for the DPRK! Restore the Public Distribution System to distribute food to the people! Suppress illegal economic activities! But at this moment—because the leaders can’t deliver—they have no choice but to close their eyes to what the people are actually doing. An important takeaway from that is that in North Korea, even for the leadership, reality prevails over ideology. The North Koreans are a practical people, adept at survival, adapting to reality–and that includes the leaders. Creeping Capitalism? No, it’s Socialist Competition! JB: Okay, so you’ve talked about changes at the individual level. What are you seeing at the enterprise level? MM: At the enterprise level as well I see new practices to get through difficult times. For example, for a factory manager, one of the main obligations is to feed their employees. A factory or an enterprise is a community bound together by a common destiny. Even though a factory manager does something formally against a law, he or she is not punished if that is to help employees to survive. At the enterprise level, the party and government are doing two things at the same time, one we’d regard as a step forward and the other as a step back. I’ll start with the step forward. 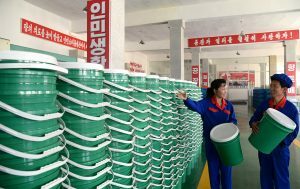 The leadership is giving state-owned enterprises—and in North Korea, all business units, except those operated by a very small number of people at the household level, are state-owned enterprises or collective farms—new freedoms to operate. Managers have new authorities to make decisions on importing and exporting, human resources, worker training. Importantly, those new authorities also include finding foreign and domestic sources for investment for business expansion and operation. Traditionally, state planners made all those decisions. Now, to an important degree, they’re being passed down to enterprise managers. JB: How about production? Is production still determined by the State production plan? MM: Farms and factories also have new freedoms in production as well. Previously, enterprises simply tried to meet state production quotas, and in these difficult times they almost always fell short, often far short. Now, production units negotiate with planners on what and how much will be produced. Importantly, a factory or collective farm can propose producing something that wasn’t in the plan at all; that’s really almost revolutionary for the North Korean system. And once producers meet the targets of the revised plan, they are free to keep the extra production themselves, sell it on the market, or trade it with other state-owned enterprises for what they need to increase their own future production possibilities. The state plan is still the basis for production. But—and this is new—now the plan is the product of a negotiation, is more realistic, and leaves room for excess production—which is a powerful incentive to managers and workers alike to produce above and beyond the requirements of the plan. JB: I suppose if the State owns the means of production we’d call that a socialist system. But if the production managers are free to find their own sources of investment, and to motivate the workers using production incentives, those sound like capitalist practices to me, anyway. MM: The crucial point is the leadership now recognizes that if they motivate the workers and farmers to produce more, the workers and farmers will produce more. And there’s a new phrase for that, and no, it’s not called capitalism. Instead, it’s called “Socialist Competition.” And the competition isn’t at the individual level, but at the production entity level—and that production entity level can be really really small. Let’s take rice production as an example. A particular collective farm is responsible for working a large number of rice paddies. Let’s look at production on only one of them—we’ll plan like a manager engaged in Socialist Competition. Now, this rice paddy requires 200 laborer days of work in a year. 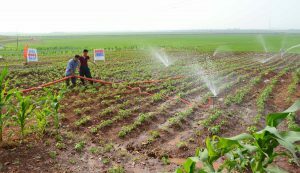 Fifty of those days are group days, in which a big group of farmers in the collective work together to get the land ready for production, do road repair work, repair the irrigation channels, transplant the rice seedlings. The remaining 150 work days are done by a small work unit assigned to that land only. And the work unit could be very small—a single individual for a normal sized paddy, three or four farmers for a really huge paddy. JB: So you’re saying the North Koreans are giving individual workers and farmers incentives to produce more, and that that’s a new thing. How does that work in practice? Is there really any noticeable impact, changes in the way the workers do their work? MM: Absolutely. Let’s go back to the collective farm, which is now letting workers keep what they grow beyond their quota. Now, there’s no change in the fact that the State owns the rice paddy land, not the farmer. But now, the collective gives a particular paddy to a particular farmer, not just to work for this year, but year after year. In effect, as long as the farmer is managing the land well, he or she can count on getting the same land to work for the next production year too. And yes, you can see the impact of that. Traditionally—and traditional farm methods are still used in North Korea, because of the shortages of agricultural chemicals and machinery—farmers in Japan and Korea went to the mountains after harvest to bring back leaves, to spread on the fields as fertilizer. But that’s a lot of work. And up until a few years ago I never saw farmers on collectives in the North make that effort. They might or might not be working the same land the next year. And they didn’t get any benefit from extra production from the collective. Now, they know they’ll be working the same land. And that they’ll benefit from the extra production. In the last few years, when I’m in North Korea after harvest time, it’s common to see those collective farmers going off to the mountains to bring back leaves for their fields. JB: You said the party and government have two policy lines on enterprise management, one we’d regard as a step forward and one as a step back. You’ve just talked about the step forward, to increase production? JB: And the step back? MM: Ah, the second track, the step back, the step that enables the state to maintain control over the people at the same time it relaxes control over production decisions. A quick lesson on the DPRK political system, its institutions. For about 30 years, after its founding in 1948, the leadership held regular Congresses of the Korean Workers Party to infuse the people with the “correct” ideology and political understanding. But between 1980 and 2016, there wasn’t a single Workers’ Party Congress. That coincided with the breakup of the Soviet Union and the end of the East Bloc, the development of capitalism in China. And especially in the terrible food shortages in North Korea in the 1990s and early 2000s, as the people stopped looking to the State for what they needed to survive and instead relied on their own efforts, we saw some erosion of the formal institutions of control. What we’ve seen from the Seventh Congress of the Korean Workers Party, held in May 2016, is a re-invigoration of the tools of control, to reinforce the importance of the group over the individual, to drill in what’s expected, demanded, of a North Korean citizen, through groups such as the Youth League and women’s groups. Those groups are the means for the leadership to hammer home propaganda and the continuing education of youth and adults. The leadership wants citizens to identify as members of a group, ultimately, to form a national polity—and not as individuals. JB: Now that we’ve moved to politics, how confident is the leadership that it can maintain control in the face of the changes it is putting into place? MM: Not 100% confident, but I would say more than 80%. Given what we see in the politics of a lot of countries, yours and mine included, I’d say 80% is pretty confident. JB: I know your expertise is in economics and not security, but what kinds of conversations have you had with North Koreans about security issues? MM: North Koreans tell me their country is safe because they have nuclear weapons. They point to Libya, Iraq and Ukraine as countries that had nuclear programs, gave them up, and were then attacked by either the US or Russia. They say the DPRK made the right decision to stick with developing nukes. And now they have them. And now that their country is demonstrating the means to deliver those weapons wherever they want, including Washington, they believe the DPRK will be safe from American attack. JB: Is that by any chance your view as well? MM: Since I started studying North Korea, in the 1980s, and made my first visit there, in 1996, my conclusion is the US has played an important role in helping the Kim family stay in power. When the outside world threatens the North, it makes the DPRK stronger. The people rally and come together to find a way to confront the threat—including the threat of sanctions. JB: Speaking of sanctions, what if the international sanctions aimed at forcing the regime to give up nuclear weapons and missiles really squeezed North Korea, cutting off fuel and trade, depriving it of the minimum it needed to survive? JB: 1941? Sanctions and Pearl Harbor? MM: Yes. What started Tokyo’s countdown to Pearl Harbor was the US cutoff of oil to Japan, in August 1941. Washington meant for the oil embargo to pressure Japan against continued Japanese expansion into Asia. But the result of that pressure was World War II. As fuel supplies fell to the minimum needed for what it saw as self-defense, Tokyo decided it had to strike first, and it did, on December 7, 1941. JB: Where are we now with North Korea? MM: The US is going down that same road again now, against a political system that in many respects is similar to Japan’s own in 1941. Washington now is pushing for a complete shutoff of fuel shipments in North Korea. The US hope is that North Korea will react to that pressure by ending its nuclear and missile programs. But if North Korea sees those programs as vital to its own national security—and I believe it does—the North might choose that other path, the path Japan chose in 1941, and strike first. That is, launch a war, even though they know they can’t win it, before they reach the point where they don’t have enough fuel to defend itself against outside attack.